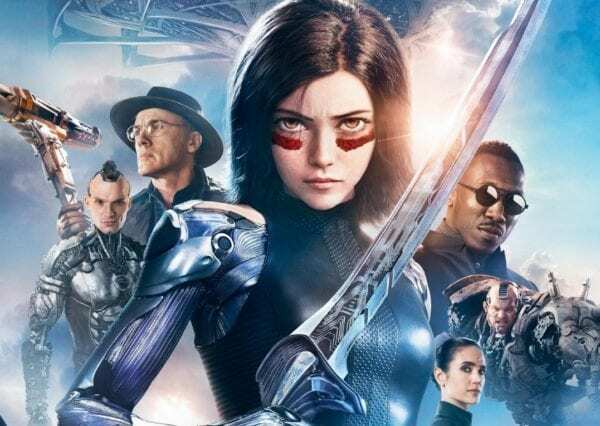 Based on the iconic manga series, the upcoming Alita: Battle Angel movie has been in gestation for over a decade. 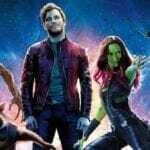 A real passion project for producer James Cameron, it went through various iterations until it ended up in the lap of director Robert Rodriguez (Sin City, Spy Kids, From Dusk Till Dawn), who was tasked with finally bringing the unique sci-fi vision to the screen. This was doubtlessly a nerve-wracking mission for the low-fi director, especially when you take into account the multi-million dollar budget and the fact that he had to meet the lofty expectations of James-frickin-Cameron! Luckily, he was able to call upon a dedicated pool of collaborators, in order to help him steer the mighty ship, including his recurring production-designers, Caylah Eddleblute and Steve Joyner. In the lead up to Alita’s release, we got a chance to catch up with the pair, who have teamed-up with Rodriguez for many projects in the past, including Sin City: A Dame to Kill For and Predators. Incidentally, in case you’re wondering why Steve doesn’t speak until half way through the interview, that’s because his appearance was a surprise bonus for us. Anyway, enjoy! I thought we could kick things off by talking a bit about your own journey into becoming a production designer. Could you describe how you got into that role in the first place? Was it a case of working your way up the industry? CE: It’s the classic thing. Everyone has a different journey and, for us, we really made it by pulling up our bootstraps. I was trained as a journalist and as a photographer. I had no intent of ever working on anything film-related. I never even imagined it. But I did eventually leave my hometown, as all of us do, went out to L.A and got a couple of production assistant jobs. Along the way, both Steve and I started working on movies-of-the-week and pounded the pavement. We were in the prop department and when you’re working in that kind of team, you’re in the dirt. You’re in the grit. You’re really able to observe what the actors need, what the director needs, what the DOP needs. And you therefore learn to solve problems in an immediate, improvisational way. Because you have to think on your feet. Through all that training and having the good fortune to get hooked up with Robert Rodriguez, we were able to jump into everything. Our first feature was From Dusk Till Dawn, a cult classic pretty much. And then things propelled from there. I suppose my training really comes from observing what works and what doesn’t in real, three-dimensional space. And you just mentioned getting involved with Robert Rodriguez. This is obviously the latest of many collaborations you’ve had with him. What is it about your working relationship that’s been so successful? What keeps you coming back for more? CE: One thing that I recollect is that I was working on small things, going back and forth between Los Angeles and my hometown of Toussaint. And at the time I was taking a Spanish class. Oddly enough our teacher brought across a little VHS of El Mariachi. I had heard a little bit about it. There was a magazine at the time called Premier and I remember reading a little about [Robert]. When I saw the film I immediately felt a connection, because he understood a world that I knew. The grit, the dust, the flavour of the Bordertown and that whole energy . So when the opportunity presented itself for an interview with him, it all just collected together. It’s really cool to think they showed El Mariachi in a Spanish class. CE: [Laughs] To have a teacher with a different point of view, and one who would do something surprising like that, was absolutely amazing. CE: I could just feel Robert’s vitality. Clearly, he loves to edit and that was apparent right out of the gate. A friend then got us an interview with him and that was the moment!